Clive Segil will be regaling us with tales of his trip to Italy and the beekeepers he met . 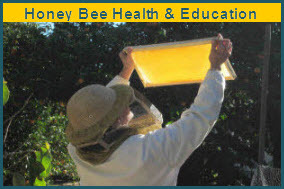 We will also be awarding the Golden Hive Tool award - our President's choice of someone who has shown great dedication to the club and thereby improved people's experience of beekeeping. Dinner will be catered by Outback Catering (LACBA Member, Doug Noland). As all who have attended our dinners before will agree, Outback Catering provides a delicious meal.